But (it is said) the Irish emigrants are vicious and immoral. That a portion of them have their faults—grievous and glaring faults—we do not deny; but all firm and impartial men will admit that the charge made against them as a body is obviously unjust. They have their faults, which are paraded and greatly exaggerated by the public press; but they have also their virtues, which are studiously kept out of view. They have their faults; but have not the corresponding class in our own population their vices also as great, if not greater, than those of the class which are now singled out as the victims of a virtuous public indignation? They have their vices, but these are often faults of the head more than of the heart; of imprudence and thoughtlessness more than of deliberate design and malice. 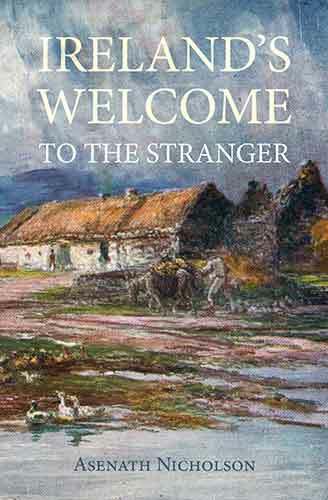 If you look for the accomplished forger, the cold-blooded midnight assassin or murderer, the man who goes always armed with the destructive, bowie-knife or revolver, ready for any deed of blood, you will in general have to seek elsewhere than among the class of Irish emigrants whom you so fiercely denounce. The Irishman's vices are generally the result of intemperance, or of the sudden heat of passion, sometimes aroused by outrages upon his country or religion; he is easily misled by evil associates, but his heart is generally in the right place. The Irishman has no concealment in his character; what he is, he is openly and before the world. Since the Archbishop wrote, events have greatly modified the feelings then entertained towards the Irishman and his creed; but the enemy of the Irishman's own creation and his own fostering is as rampant and as deadly as ever.